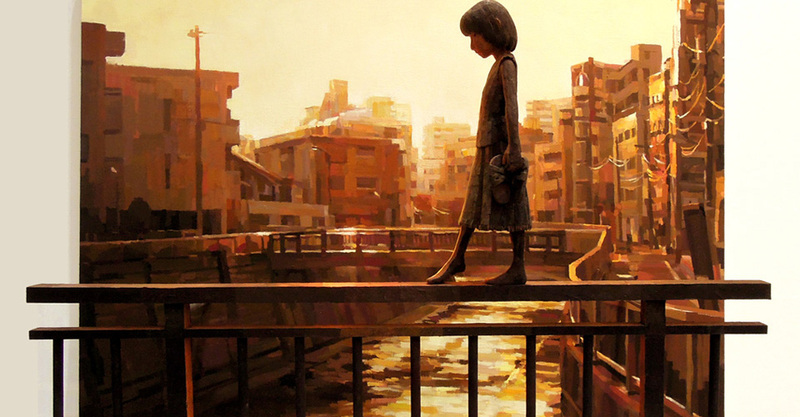 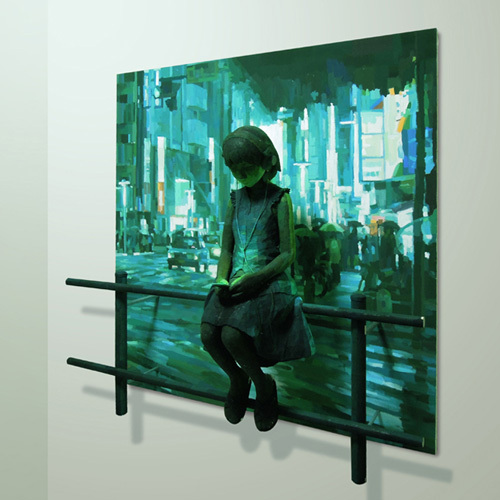 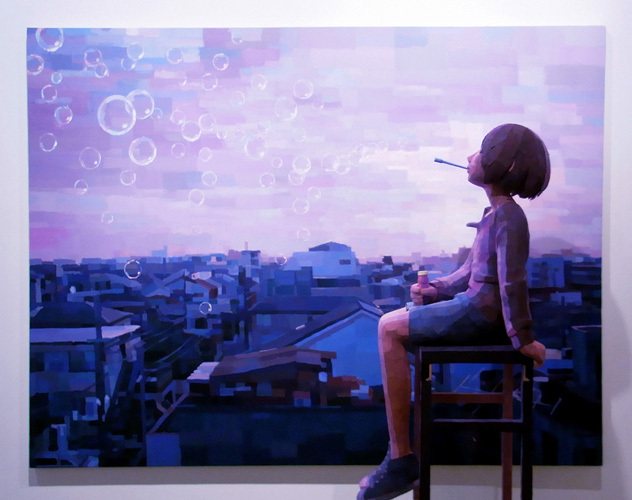 Artist Shintaro Ohata creates slice-of-life pieces that appear simple at first but actually have a unique twist. 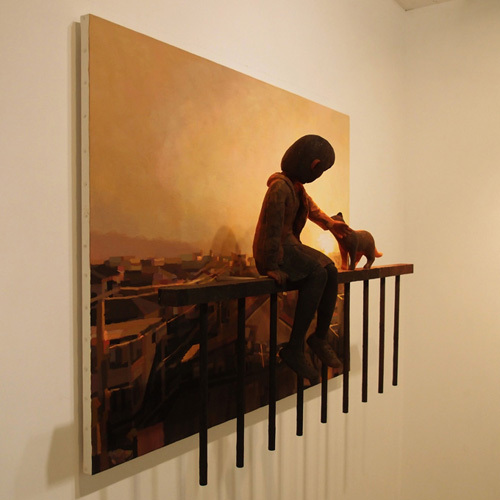 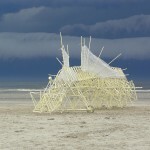 He places sculptures in front of his paintings and displays them as one piece, blending both the 2D and 3D world. 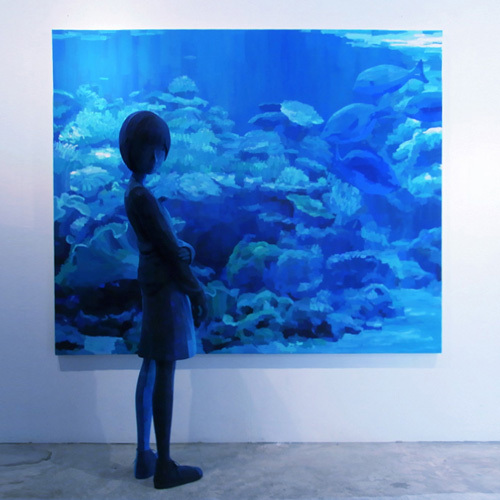 The result is a unique experience that actually immerses you into the piece itself, an effect that’s probably a lot stronger when you’re standing directly in front of the piece rather than viewing these pictures online (but the idea is apparent). 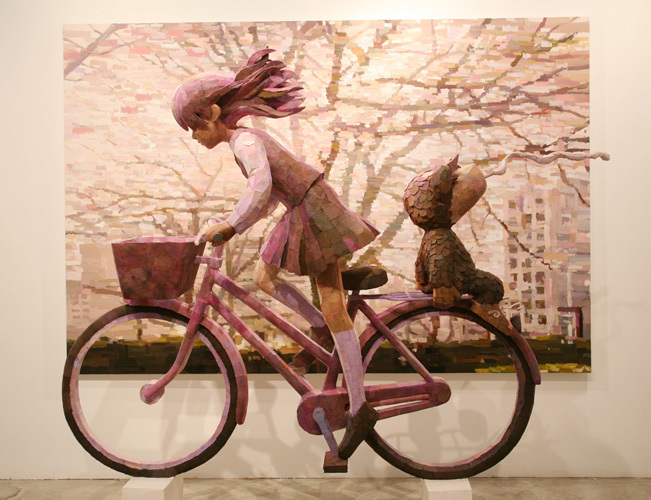 Ohata says he got the idea of combining paintings with sculptures when he realized he could heighten the experience of his paintings by combining both methods. 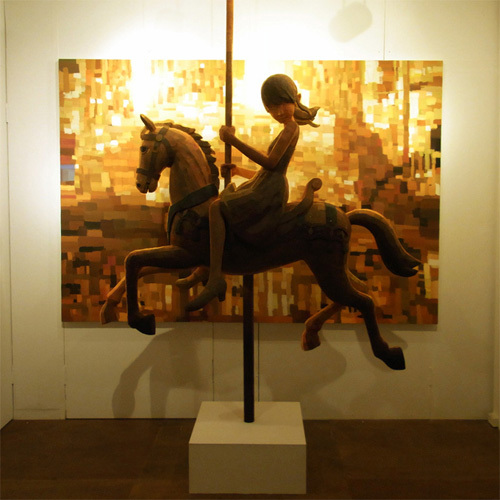 “I could bring the atmosphere or dynamism of my paintings with a more different way,” he says, “if I place sculptures in front of paintings”. 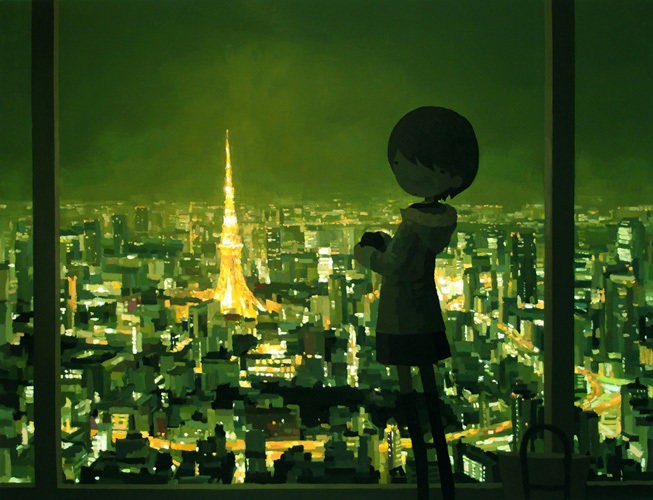 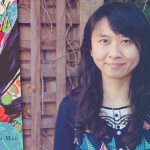 You can see more from this series at Yukari Art.